Home / Beauty Pageants / Celebs / Entertainment / Events / Global Pinays / Global Pinays Niche / What’s with the L.A. Fashion Week? What’s with the L.A. Fashion Week? In line with the 2018 National Women’s Month celebration, any kind of harassment or prejudice in any form is not acceptable. It does not matter whether it was done to man, woman or child of any age, race, religion or affiliation. Though we do not condone such acts, it is just fair that any action must merit an explanation to those parties involved. In so doing, justice is served in equal opportunity, and not just a one-sided affair. The L.A. Fashion Week (LAFW) has been instrumental in promoting fashion to the world. It not only showcases famous brands but also caters to innovative design and modelling; with Los Angeles as its home ground. However, it was recently marred by a controversy which eventually sparked an outrage amongst the Netizens. It should have been a momentous event with L.A. 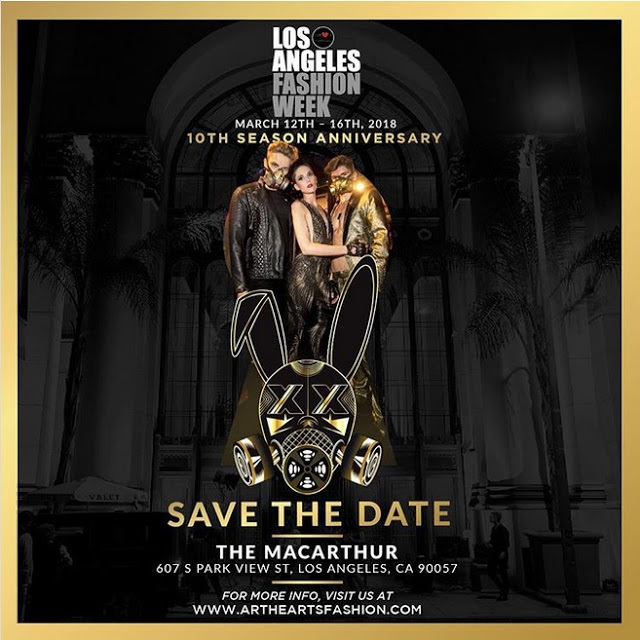 Fashion Week celebrating its 10th Season Anniversary slated last March 12 – 16 at The Macarthur, Park View Street in Los Angeles, California. Seven Filipina models were invited by Lebanese Fashion Designer Elie Madi to grace the opening of his show, but according to reports shared by makeup artist Cherry Ordoñez and Alan Del Rosario, the models were unceremoniously asked to leave the backstage by staff members of Art Hearts Fashion, the event’s organizer. They also added that Art Hearts Fashion president Erik Rosete “did not want the Filipina models to participate in the fashion show.” “No Filipinos on the runway” was allegedly the given directive from an undisclosed source. Two notable Filipinas among the models were Kiana Valenciano (artist, model and daughter of renowned Filipino music singer and producer Gary Valenciano), and former Miss Earth Jamie Herrell (Alan Del Rosario’s niece). In support of the Filipinas, Filipino designers Resty Lagare and Rocky Gathercole, backed-out from the said event. For The Stars Fashion House owner Jacob Meir, US distributor of the creations of Madi, Lagare and Gathercole, also withdrew his participation as a sign of protest for the alleged discrimination. 2. Requirements are 5’9”+ for the girl models without distinction on either race or color. Yes it is true that pulling out the Filipina models unceremoniously and eventually cancelling the event could have been dealt in a more professional manner prior to staging. However, one cannot overlook the prerogative of the main events organizer, especially if they have previous misgivings with the opposite party concerned. The Keen Observer is a non-partisan, non-political view of current and trending news in and around the Metro. The views expressed herein are insights on persons, places and events, having social relevance in nature, and may directly or indirectly affect people’s lives. It is not our intent to support nor contradict any factions or organizations, but simply show the facts as they happen. As always, we value any comments or suggestions from our dear readers. So follow us at www.globalpinays.com. What Makes Taal Volcano More Unique In The Philippines?